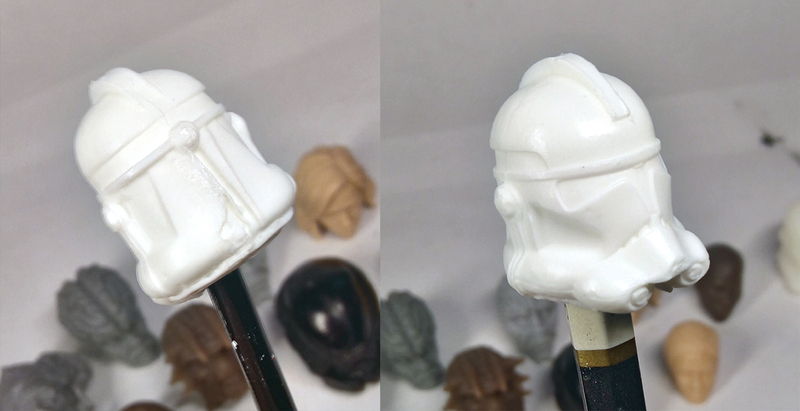 Here's a long overdue overview of Star Wars Geek's head casts. StarWarsGeek has a wide selection of 3.75in and 6in. head casts, as well as accessories! Not only that, he also offers a painting service so you can choose to receive the head finished and ready to use on your custom. And please check out his Patreon page if you're interested in getting larger-scale heads shrunk down to 4in./6in. scale! I don't get any form of payment for providing these links,I just want customizers to have every chance at success on their projects. I ordered some 6-inch scale Phase 2 Clone Trooper helmet casts from SWG because he has the best price for them on ebay. I've tried contacting other casters, but they never respond, so SWG has yet another edge over the competition. He was kind enough to send several other sample heads too to get a feel for how quality varies between different head molds. If you've ever bought garage kits or other casts, then you know what to expect. There are imperfections in casts, like pinholes, seam lines, and distorted features at worst. Neckholes vary. It's up to you to fix this stuff, that's part of the customizing process! 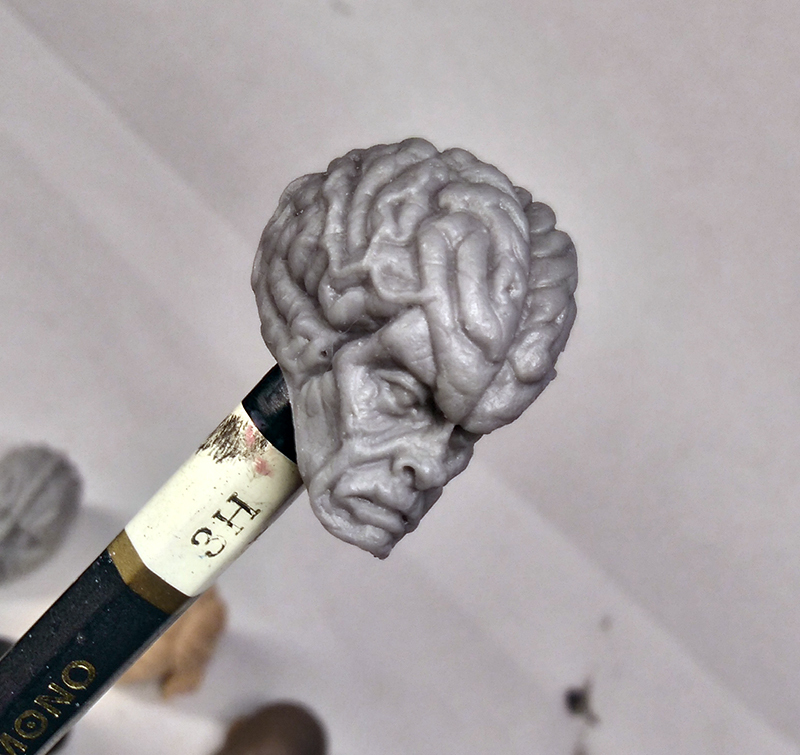 However, I think we can all agree that the whole point of ordering head casts is to avoid having to sculpt these complex shapes in the first place. For example, If you buy a head cast of Ghost Rider, but the flames are all screwed up, the teeth aren't defined, and the eyes are sagging, then what was the point in paying $10 for it, right? I might as well sculpt the monstrosity myself. SWG's casts are great, though I have to say the other heads he sent outshine the Phase 2 Clone Trooper helmets. 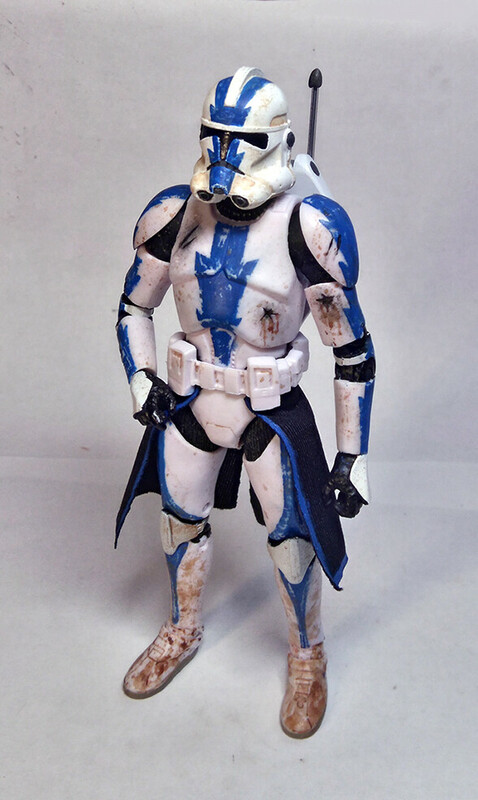 •The respirator area tends to look chewed up, like the trooper crawled through rocks. •The 3 tiny ridges on the sides can be distorted. •The middle section in back of the helmet can be distorted to the point that you have to do some resculpting. Some of them look just fine though. In other words, you'll have to put in extra work if you're making a shiny new trooper. 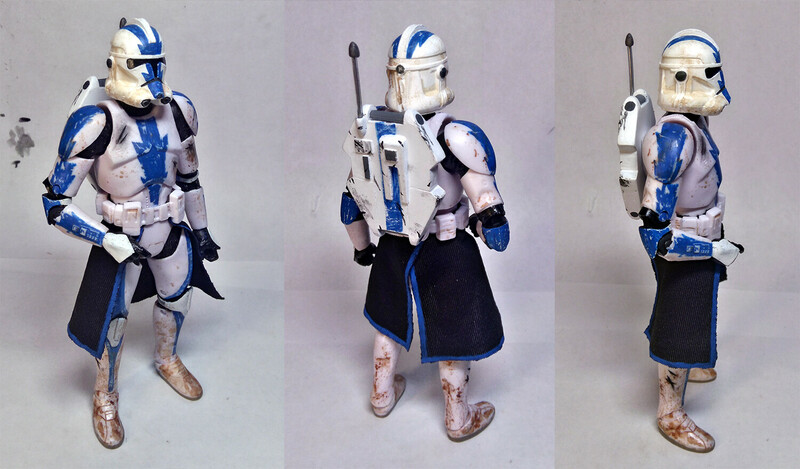 However, if you're making weathered troopers like I am, there's nothing to complain about. The other heads were almost flawless though. Every miniscule detail is preserved, every fine strand of hair on Maria Hill's head is defined, just like the subtle hair texture on the brown head (Marvel Legends Okoye?). Scrape away a little flash and they're ready for prep and paint. The resin accepts paint well, I've used Tamiya (alcohol based), Formula P3 and Citadel (water based) and there are no nasty, sticky chemical reactions. Just be sure to scrub the heads well with dish soap to remove grease and mold release. When listing your heads for sale, PLEASE include at least one picture with them popped onto a common figure, so we have an idea of how big/small the head is. 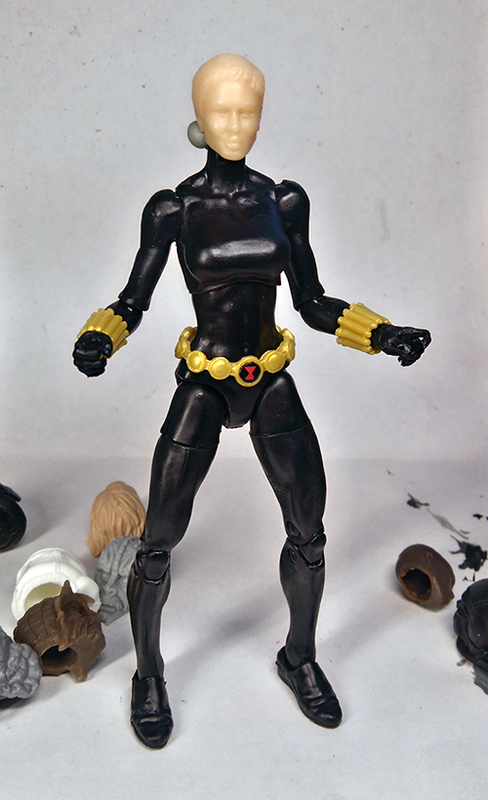 For example, the Maria Hill and brown female head are small, they're listed as 6-inch scale by SWG (presumably because they're direct copies of the original 6-inch scale Marvel Legends heads), but they're so small they look much better on a 5-inch figure. 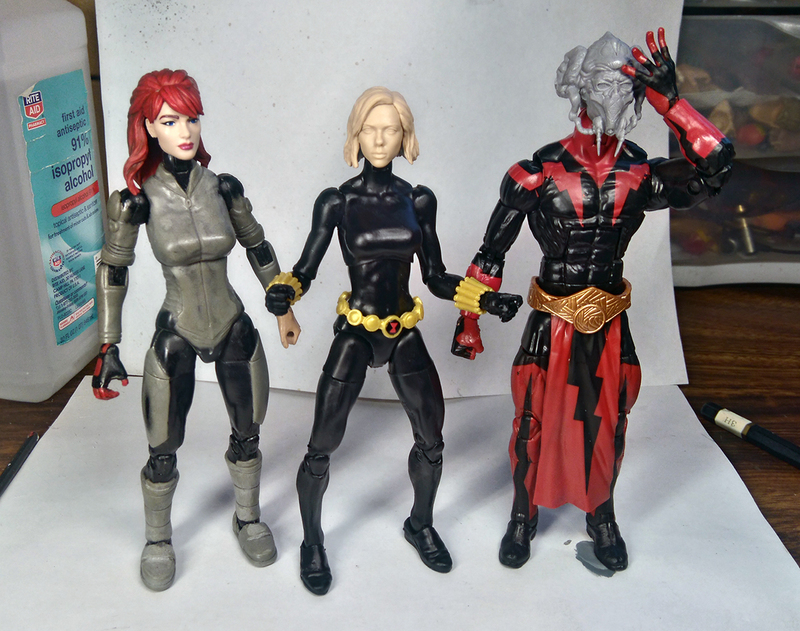 The size might not look that bad here because of the angle, but the head is so small it even looks borderline too small for the 5.75-inch teen female Marvel Legends body (X23/WhiteTiger/Spidergirl). Another example, I recently got an upscaled (3.75-inch to 6-inch scale) Asajj Ventress head from a Canadian caster, and the head is still puny. It's useless to me. The gray Plo Koon head head below is slightly too small to use with this common male Marvel Legends body (Blackbolt/Vision/MachineMan). Growing it by maybe 10% would be great. On a more positive note, this is an example of how durable the resin is because none of the small details on any of the heads was damaged despite being shipped in a padded envelope. So I definitely suggest taking a picture of them popped onto the usual Marvel Legends, DC, etc. bodies for the benefit of your customers. Maybe even onto some Dr. Who figures (5-inch scale). figured you are a " He " but I didn't want to assume!!!! LOL !!! While there's no "standard" figure size, there are definitely commonly owned and commonly used figures in the customizing community (which I assume is the majority of your buyers). For example, if you tell me a head looks good on the 7in. Marvel Legends Sentry figure, then I know it's most likely too big for the smaller male ML body, and definitely too big for 5-inch bodies. I can make an informed guess, instead of being disappointed when I order a head and it's too small/big. Another example, I know for a fact that the official Marvel Select Cable head (ML186 in your store) is puny. Even though the Marvel Select figure is 7-8in. scale, the head actually looks better on 6-6.5in bodies (I used it on my DCUC Warhawk). In your store it's listed as 6in scale, and even if I was completely uninformed about scales, I'd be happy if I ordered it for a 6in. custom. Another example, the Maria Hill head up there. It's listed as 6in. scale, and technically yeah, it's from the ML 6in scale line of figures, but I can't use it on the adult bodies, it works better with the smaller teenage bodies, which use smaller heads. That kind of info is important to a customizer. I guess the next point is, who's responsibility is it to know exactly what head will work with what body? And I think that can be addressed if we all just communicate more, and send you bodies to test them on maybe? Then you could provide pictures on demand, instead of with each listing, greatly reducing the chance of misunderstandings. I just Bought from you myself, and had the same odd variation in scale across five 3.75" head. looking at them, I assume it's the material and possibly some volumetric reduction in the curing phase of the plastic Raven head seems to have lost detail and seems undersized). overall, I'm very happy with most of what I ordered, but I agree that a scale comparison of some kind would be helpful, as you said, not every figure in a particular scale is exactly the same proportions. Possibly a compatability suggestion in the text body (I.e. Best with Marvel Universe, Black Series 3.75, Marauder Inc, etc?) Would you consider posting a picture here or your paintwork? I would love to make the next order prepainted. And I intend to make more orders in the future, thank you!!! 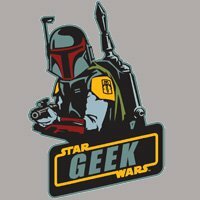 I am a HUGE fan of starwarsgeeks work !!! Both the casted heads and the posted customs on this site. 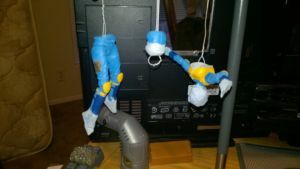 Many of my posted customs have his ( or hers )castings!!! Thanks for givein him ( or her ) the deserved love and attention.